Our beloved colleague passed away unexpectedly January 13, 2017. Dr. Steve Meadows grew up in Lakewood, OH and graduated from Lakewood High School. A true Buckeye, he graduated from The Ohio State University for college, medical school, and his residency in Ophthalmology. Dr. Meadows conducted research on new treatments for macular degeneration as well as studying glaucoma in Aborigines while living in Australia. 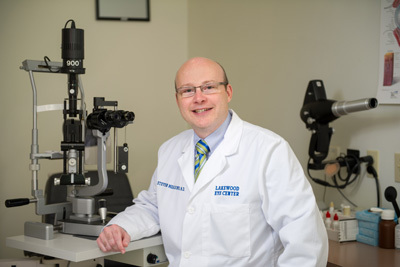 Dr. Meadows joined Fairview Eye Centers in 2005 as a leader and innovator using the latest innovative technologies in his eye surgeries. He was passionate about taking care of his patients. He felt privileged to be able to improve their lives by restoring their vision. 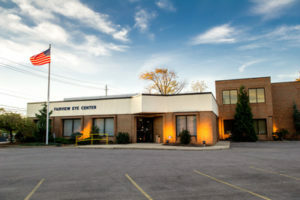 Delivering outstanding, personal, state-of-the-art eye care was his professional goal. Dr. Meadows enjoyed spending his free time having fun with his family, biking, traveling, and working on home improvement projects. He is survived by his wife Julie Palomaki-Meadows and sons Owen and Finn. He was a good natured and caring colleague, who we now miss dearly.